SimplifyVMS enables companies to increase profitability, mitigate risk, and source qualified talent by optimizing the extended workforce. SimplifyVMS offers the newest and most flexible tech stack offering in the VMS space and its flagship product, SimplifyVMS, is a cloud-based, vendor neutral, contingent workforce management and services procurement solution. 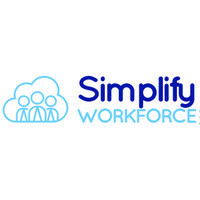 Simplify Workforce provides an all-encompassing approach to managing all aspects of your contingent workforce, which enables you to have visibility throughout your talent value chain (from supplier to end user) and ultimately helps drive efficiencies and cost savings from your contingent workforce programs. Simplify Workforce is an award-winning company that provides a flexible, unbundled, and modularized approach in providing an advanced VMS technology platform. We focus on developing a true business partnership with each of our clients, from implementation through production, which establishes trust and confidence in developing a collaboratively created VMS strategy, which generates positive business outcomes for our clients. As we are under the leadership of our founder, we have retained the cultural flexibility to work differently than our competitors, to structure deals and align resources in a novel and flexible way that can help solve our clients’ most daunting challenges and drive them forward.